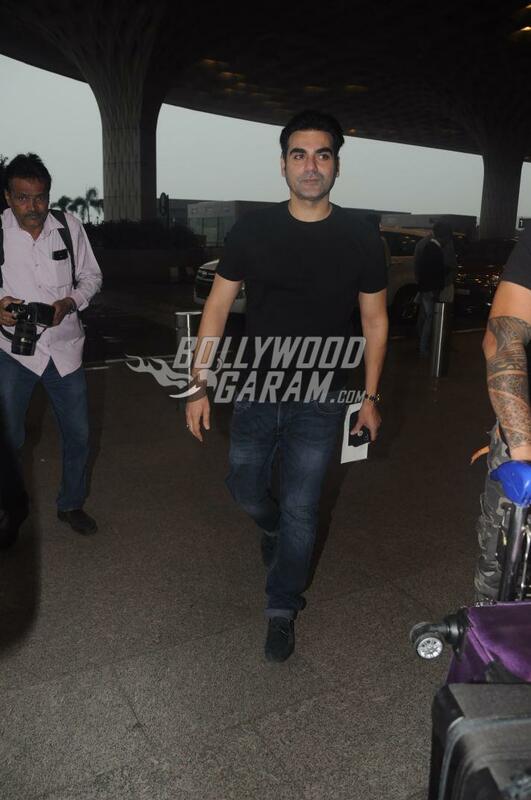 Ileana D’Cruz and Arbaaz Khan were snapped at the Mumbai airport on Mumbai on December 5, 2017. 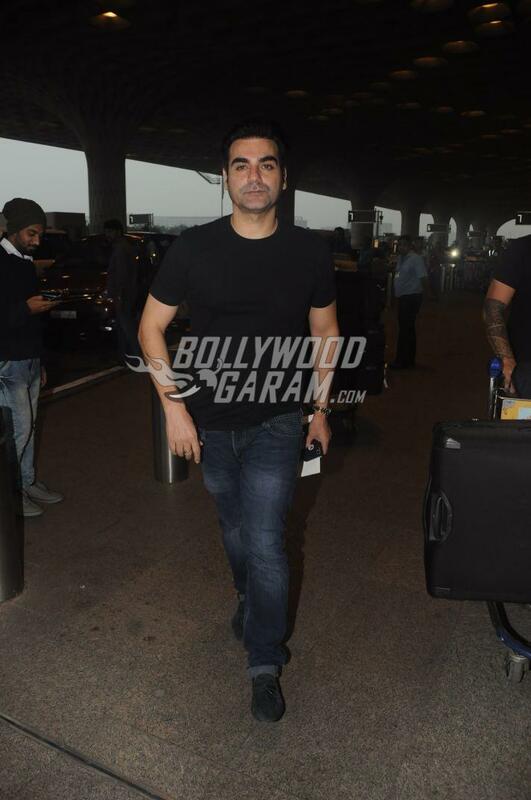 Arbaaz was last seen in the film Tera Intezaar which also stars Sunny Leone and Arya Babbar. 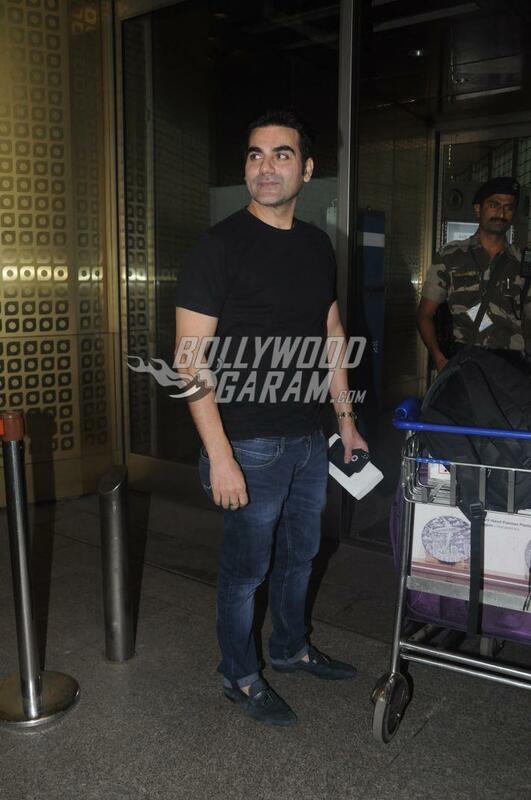 The actor and producer looked dapper in a black t-shirt and a pair of denims and was all smiles for the paparazzi. Ileana was last seen in the film Baadshaho opposite actor Ajay Devgn and is currently filming for the upcoming flick Raid which also stars Ajay Devgn and Saurabh Shukla. The film is directed by Raj Kumar Gupta and jointly produced by Bhushan Kumar, Abhishek Pathak, Krishan Kumar and Kumar Mangat Pathak. Raid is currently in the filming stage and is ready to be released in theatres on April 20, 2018. 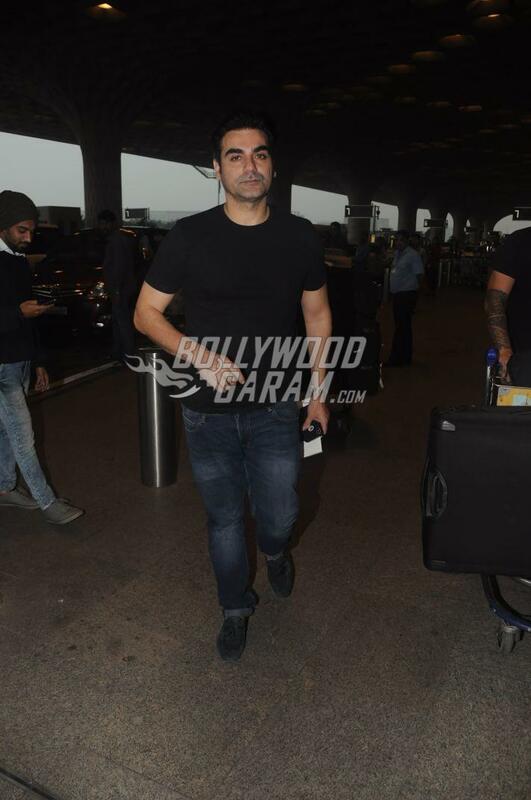 Arbaaz’s film Tera Intezaar has been released in theatres and is dong an average business at the box office.